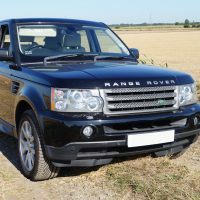 WICKEN 4-WHEEL DRIVE specialise in four wheel drive vehicles such as Land Rover, Range Rover, Discovery, Freelander, and all other 4×4 makes and models. 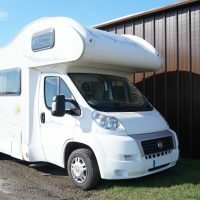 Our services also include LPG conversions and Motorhome repairs and servicing. Since 1982 the business has grown from a single bay to what is now a modern well equipped workshop with 7 vehicle lifts, class 4 & 7 MOT facilities and the lastest technology in vehicle diagnostics. 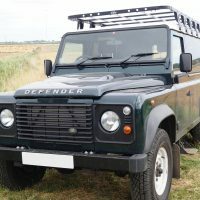 WICKEN 4-WHEEL DRIVE, is a family run business that was founded by Peter Rash in 1982 when he left Marshalls Cambridge, where he’d worked in the Land Rover workshop. He was later joined by his son Oliver in 1994. Please browse our website and feel free to submit any question you may have. We are also more than happy to talk to you on the phone, so if you have any questions, please do not hesitate to phone us on 01353 722434. We’re located in the heart of the Cambridgeshire Fens within easy reach of Cambridge, Newmarket, Mildenhall, Bury St Edmunds, Ely and March. 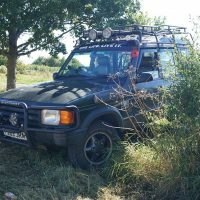 Here at Wicken 4×4 we specialise in all 4 wheel drive vehicles. Everything from Land Rover, Range Rover, Discovery, Freelander, to Vans and Motorhomes. We have built up a mass of experience and knowledge which enables us to diagnose and repair virtually any technical problem that may arise. We have a well stocked Parts Store for these vehicles.